How 7 seasons have flown by. Project Runway is in its 8th season to premier in 10 days on Lifetime. 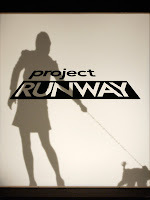 PrivyDolls LOVE Project Runway and we are anticipating a season full of great design and great drama. Recently, the cast was announced. Get to know the Designer hopefuls HERE. Who are your favs already?